It happens in the US as well, and it's never easy. A patient has been requiring life-sustaining treatment (usually a mechanical ventilator to breath for them) and it has become evident that continuing this is not in the patient's best interest or wishes. A conversation with the family ensues. A decision is reached. And at the appointed time, care is withdrawn. Sometimes I feel like we have just enough technology and resources here to put us in difficult situations. (The corollary being that we have just enough to save some lives, as well.) The same situation as above occurs here at Tenwek, but it is made quite a bit more difficult due to a number of key differences. First, our patients are more often younger, and had often been previously healthy, compared to similar cases in the US. It's never easy to say goodbye, but here the preparation time is often minimal. Second, despite this minimal preparation time, we often need to move faster on these decisions than in the US. We have a 6-bed ICU which is almost always overloaded, and (at most) 4 functioning ventilators at any given time. If it is evident that a ventilated patient will not get well, then we (the care providers) would hate to miss the opportunity to use that ventilator for a new patient that comes in with a much better chance of survival. Waiting until everyone feels very comfortable is a luxury not made for the poor or those with limited resources. It is, at times, the comparison of one person's life for another. Third, there is a general sentiment in the US of "I don't want to be a 'vegetable', and I'm sure my loved one wouldn't, either." Though this feeling may be quite vague sometimes, it often ends up guiding decisions for patients and families. Our patients here have never even thought of the possibility of long-term life-support, and the concept is rather lost on them. Even trying to get them to understand that brain death is irreversible is most often answered with "maybe we can just wait longer and see what happens". Much more than in the US, withdrawing a ventilator is seen as taking their life. Lastly, decisions take time here. This is not a bad thing. It involves a lot of people in the process, and is just part of life. But it is a challenge. Thus, a conversation about withdrawing care is most often concluded with a decision to go and speak with ALL the other family members, some of whom usually have not arrived at the hospital yet. And won't for several days, perhaps. Universally, doctors don't like having these conversations either, and so we delay talking about it until it seems that it can't be put off. Then the family can't be found at the right time. Then they are found. We have a very long and difficult conversation. They request more time to discuss with multiple other family members who are not at the hospital yet. Then we reconvene, and they request more time to see how the patient will do. Eventually we make a decision. Part of the difficulty is that, who knows, maybe someone will make a great turn around. I may know more about the odds than the family, but they are almost always odds, albeit often extreme ones. However, I'm convinced that, in our situation, holding on forever is not the best way to steward the family's or the hospital's resources. We make tough decisions. More than that, we make awful decisions. Simply awful. But it doesn't mean that we shouldn't make them. It's just hard. 1) The current staff – that they would be united in purpose and zeal for reaching those in their community, bringing both physical healing and the good news of Jesus. Pray that they would remain committed to providing quality healthcare despite long work hours and limited resources. 2) An improved water system. There is currently no running water at the hospital! 3) The financial resources needed to expand. Hope Africa University and Kibuye have put together a detailed 15-year plan for the hospital in order to facilitate its growth into a high-quality teaching hospital. New buildings and updated medical equipment are both needed. 4) Short-term workers (especially doctors) to fill the gap until we arrive. There is currently only one full-time doctor (from the Democratic Republic of the Congo) and rotating doctors from Hope Africa University to teach all of the medical and nursing students. 5) God to raise up workers (anesthetist, additional eye workers, another OB/Gyn, and others) who can help fill gaps. 6) The chaplain and others who are dedicated to sharing Christ with the patients. 7) Good administration and financial supervision. Thank you for lifting these needs up in prayer! In Burundi last week, a 30 year old female came to clinic complaining of fatigue, progressive weakness, and swelling in her hands and feet over several weeks. The medical student, Blaise, astutely noted severe pallor and a heart murmur on his exam of the patient and so we sent her to the lab to have her hemoglobin checked. We continued seeing patients and then took a short break for lunch. After lunch, I realized the lady had never returned from the lab. We looked for her name in the lab books but it seems she never went to have her blood drawn. Another medical student, Isaac, and I continued looking for the patient - I remembered she was wearing a bright orange dress, which was not very helpful as orange seemed to be the favorite color of most of the women we saw last week. But we eventually found her lying under a shawl on the grass outside the hospital. Evidently she lacked the funds for the lab tests but she also lacked the strength to walk home. We arranged with the finance department for her to have her blood drawn for free and the result was a hemoglobin of 1.7 (normal is ~12)! Amazing that she was walking and talking with such a low hemoglobin. Thanks to Isaac's quick actions, she was admitted to the hospital with blood transfusing (in picture below) within 30 minutes. 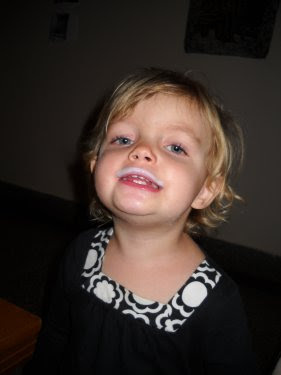 The next morning she was feeling much better and requested we evaluate her one year old child who had also been sick. We diagnosed him with severe acute malnutrition and admitted him for treatment. Unfortunately there was very little we could do to diagnose the cause of her severe anemia. And even if we had access to more lab tests, most of the causes could not be treated in that setting. Patient #2 was a 19 year old I saw this week at Tenwek. She presented with a hemoglobin of 1.1! She, too, received a blood transfusion and felt like a new person with a hemoglobin of 6.5. In this case, though, we knew that her platelet count and white blood cell counts were also low. We performed a bone marrow aspiration and biopsy to determine the cause of her pancytopenia and hopefully to be able to offer treatment. That biopsy will be read by a pathologist at Kijabe, another mission hospital here in Kenya. If she has leukemia, she can be referred to an oncologist three hours away for chemotherapy. This picture was taken on the day of her discharge home. 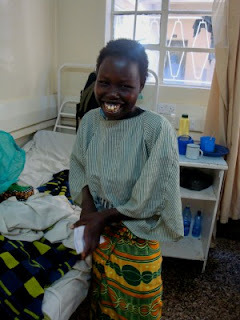 We see a lot of patients both in Kenya and Burundi who present with advanced disease. I never saw a hemoglobin of 1.1 in the States! We are so thankful that blood is available and that such a simple treatment makes such a huge difference for these people. They would not live long with so little blood! But we also see how developed medical care in Kenya has become in comparison with a place like Kibuye in Burundi. The second patient has so many more options available to her for diagnosis and treatment. We hope that in the years to come, Kibuye, too, will be able to provide more advanced care for patients who need it. As these mission hospitals continue developing, though, we pray that all patients will continue to experience the love and compassion of Christ through the care they receive. 1. The medical students at Kibuye are a fun group of bright, eager students. The entire class of 16 is currently at Kibuye Hospital for clinical rotations through Hope Africa University’s medical school. The students asked good questions, worked hard, and soaked up everything that Jason and Alyssa taught. We really look forward to teaching these enthusiastic medical students. 2. Language learning will be crucial for both French and Kirundi. French prevails for the medical charting, the morning report, and the hospital business/administration. Kirundi is the only language that most of the patients speak. Last week showed us that we need to be proficient in both. Language acquisition will certainly be an on-going prayer request for the McCropder team. 3. The hospital has various basic needs for things like water, oxygen, internet, meds, and lab tests. The running water has worked in the past but is currently non-functional. There is no oxygen available on the wards. The lab specializes in malaria smears, but it offers no white blood cell counts, no electrolytes, no cerebrospinal fluid cell counts, no coagulation studies, no kidney function tests. The pharmacy shelves looked a little bare as well. We pray for these hospital needs to be met soon. 4. It is possible to operate with the available resources. Jason did about 10 operations there last week, including a prostatectomy, an ex-lap for a gunshot wound, a hernia repair, a few C-sections, and a contracture release. His creative improvising skills came in handy several times because of the limited selection of supplies, sutures, medications, and anesthesia options. Each case was done with ketamine. Jason thrives with those sorts of challenges. He used a needle instead of k-wires, for example, in the contracture release. 5. We are grateful for the supportive and wise leadership of Bishop Buconyori. He seems as excited as we are about having our team move to Kibuye. He has done amazing things already through Hope Africa University and we look forward to working with him. 6. The land of Burundi is extremely beautiful, and Kibuye is in the middle of many miles of rural farming land. Most buildings are constructed of locally-made bricks. No grocery store can be found within a half-hour drive, but Kibuye does have countless banana trees, avocado trees, and small gardens. The land pictured below is the site of our future houses, we hope. 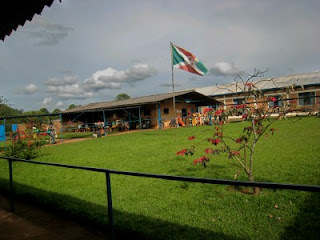 If you would like to observe the beauty of Burundi yourself, we would love to have visitors after we arrive, which will hopefully be in the fall of 2013. Well, technically I guess it's really 15 given the recent addition of Alyssa Pfister & Carlan Wendler to the McCropder clan. Either way you count it, we are pleased to announce the anticipated arrival of another baby in mid-October. The Cropseys will be the first of the McCropders to enter the world where the children outnumber the parents in the house! We would appreciate your prayers for a continued healthy pregnancy and we'll look forward to introducing our new little munchkin to all of you back in the U.S.A.
We have posted before about some pregnancy taboos in Kenyan culture. Well, once the baby (mtoto in Swahili) has been born, there are no more reservations for talking about and celebrating the new member of the family! 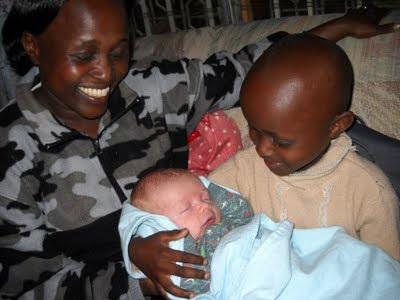 In fact, most Kenyans will have all their friends over for chai to meet the new baby. So, a roundabout (and typical) way of asking when a woman is going to deliver her baby is to ask, "When are you having me over for chai?" Ben is now over two months old, and this post is quite delayed in the coming, but we had over a dozen Kenyan visitors come to see us in the first few weeks after his birth, which was a lot of fun. In typical Kenyan fashion, the host provides the chai and perhaps a snack (cookies or something), and the visitors all bring a gift. 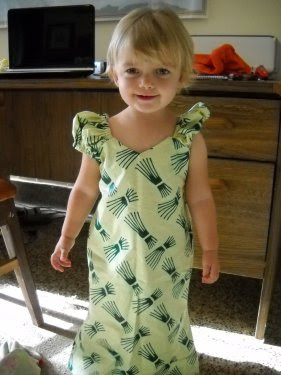 We received gifts of pineapple, mangos, baby booties, a dress for Maggie, a cloth for wrapping Ben on my back (like the Kenyans do), and more. We were so blessed to have all these people come and share in our happiness. One of the more memorable visits came from our cytopathologist, Benard, and his family. It was memorable because they brought with them traditional Kipsigis food of ugali (the corn meal porridge like staple here) and murzik. Somehow, Eric and I had managed to spend 15 months in Kenya without ever sampling this infamous beverage which Anna Fader bravely described as "a little bit good." It's basically charcoal flavored drinkable yogurt, made by pouring fresh milk into a gourd along with some charred wood and letting it sit for several days. Yummy. Well, we tried it and I have to agree with Anna. Maggie downed hers, though, and half of mine as well! 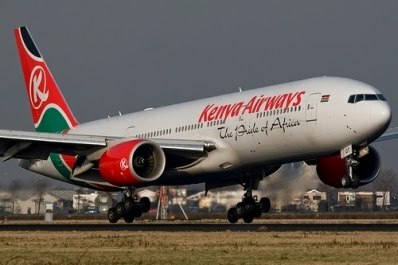 All in all, we wish we had more of these special Kenyan moments, even as our time here begins to wind down. We are truly blessed by the hospitality of those we work with and serve. Steady to sun, Steady their course to the sun. Actually, no trains, but we are driving and flying these next few days. Alyssa, Heather and I (Jason) are heading to Burundi for a week. We will take the 1.5 hour flight from Nairobi to Bujumbura tomorrow and then drive 3 hours up to Kibuye Hospital that same afternoon. We will be joining the only doctor there to help out at the hospital. During the week we are there, we hope to get a better sense of how the hospital functions, discover what needs exist, and develop relationships with the staff and medical students. We pray this trip would help us understand the place better and know how best to invest and plan for our futures there. Alyssa and I have both brushed up on our C-section skills, Heather is excited to test out the French she has been studying, and Heather and Alyssa are looking forward to seeing Burundi for the first time. You could pray for a successful trip and also for Anna (who gets to stay in Nairobi with her Uncle Eli and Aunt Bethany and cousins) and for Abi (staying at Tenwek with Cropseys). We will report when we get back (no internet at Kibuye, yet). On Mother's Day, John & Micah set out in the McCropder van with their "harem" of women to visit a local village church, Kapsabet Africa Gospel Church. Alyssa Pfister, Heather H. (visiting nurse), Heather Fader & girls, and Jess joined them on the adventure. We asked ahead of time if there would be confusion about whether all these women were John's wives (polygamy is very common around here) and the response was laughter. Hmmm....not exactly the emphatic "no" we were hoping for! We did our best to clarify the situation when we introduced ourselves in church! The Faders & Cropseys visited this church about a year ago for a harambee to build a new building. (Harambee means "all put together" in Swahili and is basically a fundraiser -- for a church building project, school fees, medical bills, etc.) At the time of our first visit, only the foundations existed. A year later, they have completed walls and the roof. Now they are hoping to complete the gaps between the walls and the roof. We arrived 45 minutes after the service was supposed to start, but were right on time! We enjoyed several Kipsigis songs and tried to bless the church with a wazungu ("foreigner" in Swahili) performance of "Amazing Grace" -- the only hymn that we thought we knew the words to, but apparently not all of us did! After a sermon (in both Kipsigis & English, for our benefit), the fundraising began. In a church harambee, people typically come to the front and publically give their gifts. Gifts can include money, produce (sugar cane, greens, avocado, etc. ), or even livestock (chickens)! The non-monetary items are then auctioned off at the end for cash. Anna was pretty excited about the plants that she procured! Afterwards, we joined Janet at her home for lunch -- rice, beans, potatoes, & beef stew. The food was delicious and the kids enjoyed playing with the animals on the compound. Janet's family has two cows and a calf. Micah spent a lot of time trying to make friends with this little one. The mud hut on the left is the kitchen and the blue building on the right is the main living area. Heather & Anna enjoying lunch. Baby Emmauel at the dish washing station. We didn't stay for the traditional chai after lunch and departed a little early, hoping to put Micah & Abi down for a belated nap as well as beat the rain that was threatening to get us stuck in the mud on the way home. It was a very enjoyable visit and a real treat to see our friends in their natural setting. At Tenwek, it's easy (and more comfortable) to remain in our "little America" on the mission compound and forget about what life is like for those we work with. They are hard-working people and serve without complaint. Please take a moment to pray that the Kapsabet congregation would continue to grow spiritually and serve as salt and light in their community. We have undergone some small-scale persecution here in Kenya. Persecution by ants. For examples of recent harassment by the 6-legged tormenters, see here and here. The kids brought presents, wrapped missionary-style in recycled gift bags (I’m pretty sure the gift bag pictured here has been in circulation for at least 5 birthdays already) or even wrapped in reused wrapping paper held together by duct tape. Love it. Tenwek-style birthday presents are also extremely practical and can shamelessly include any hand-me-down item or creative non-material gift. In completion of the lesson in befriending our persecutors, the brave children played Pin the Pinchers on the Pincher Ant. It remains to be seen whether today’s festivities will improve the communal despising of the ants, but we will hope for the best. I have been wanting to read this book for awhile, and so was excited to see it show up on the Faders' dining room table after Christmas. In true McCropder community fashion, we refer to anything one of us has that the others want to borrow as “kingdom” material (meaning it belongs to us all). Thus, Jason's book became the Kingdom book and I happily brought it home to read. I have to say that while the idea of the book is interesting, and even the ideas IN the book are interesting and informative, it's not a particularly interesting book to read. In fact, it's pretty dry and academic, and I would have preferred reading someone else's synopsis of the book. So that's what I'll give you, faithful readers. Jared Diamond, the author of GGS, starts out the book with a good question. What makes the difference between conquered and conquering societies? Why was Europe the continent that took over and subdued others, rather than the other way around? Why didn't Kenya take over England, or Peru sail across the ocean to colonize Spain? Sure, the Europeans had weapons (guns), diseases (germs) and technology (steel) in their advantage, but how did they gets those advantages in the first place? Some in the past argued that there was a fundamental difference between the peoples of these countries—Europeans were more innovative, more curious, more intelligent than the average African. Diamond calls this racist, and puts forth a different, geographically based theory. Basically, people who happened to live in Europe had several advantages over people living on other continents. The biggest advantages were the presence of wild plants and animals on the continents of Europe and Asia that could be domesticated (unlike Africa—no one has yet domesticated the cape buffalo, or rhinoceros, or even the zebra). This led to increased food production which led to the ability to feed larger groups of people—not all had to be hunters/gatherers and now some people could focus on technology and invention. Living in close proximity to animals gave Europeans contact with a variety of diseases (cow pox becoming small pox, influenza from swine flu, etc) and subsequent immunity. Also, because Europe is a wide continent instead of a tall continent (east to west axis instead of north to south) the food and animals that were domesticated could easily spread across the continent. Contrast this with food developed to grow in Mexico trying to thrive in Alaska, for example. So it's not that Europeans are superior to other races, they were just in the right place to thrive, according to Diamond. In the end, it was probably a good book to read although it can't come as highly recommended as Strength in What Remains! But for Westerners working in Africa, I have to fight against the temptation to buy into the idea that our ways are "superior" over African methods. Look! We were able to develop better societies than our African counterparts. Which, of course, is not necessarily true, and even if my ancestors developed technologies and societies faster than my Kenyan coworkers' ancestors, it is not based on some inherent cultural or genetic superiority but rather, as Diamond states, better real estate.